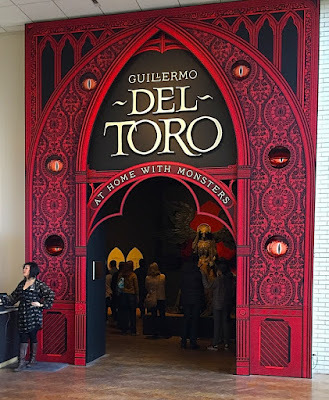 The Minneapolis Institute of Art is currently hosting Guillermo Del Toro, At Home With Monsters , an exhibition which is on display through May 28th before heading to Canada. 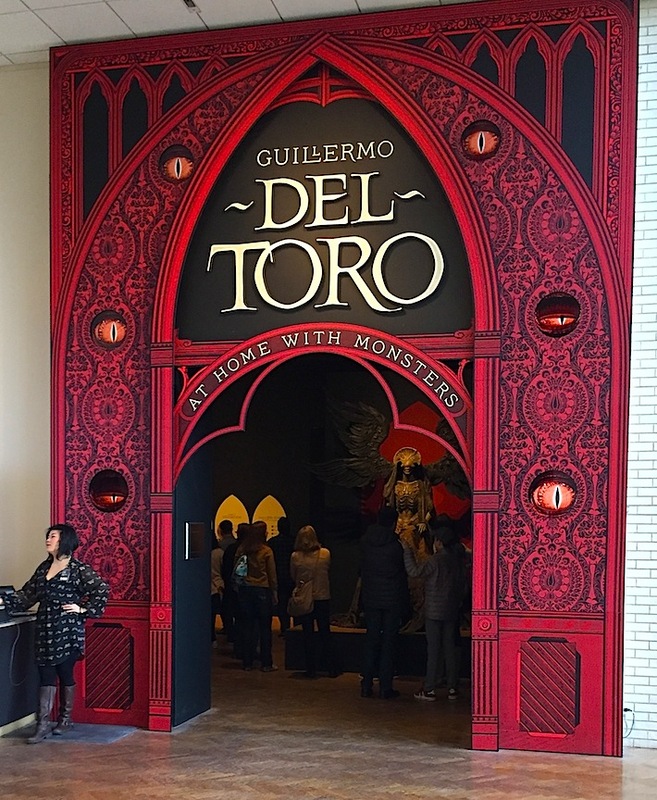 The exhibition displays Mr. Del Toro's collections of paintings and original illustration artwork alongside his very unusual home furnishings, artifacts, and film concept artwork. The entrance to the exhibition itself lets you know that this will not be a typical museum show. Mr. Del Toro has has christened his Los Angeles home Bleak House and filled it with inspirational material and artwork. Among the art on display in the exhibition are several pieces of original artwork that Edward Gorey created for Penny Candy by Edward Fenton. The suite of four small drawings for the book are particularly entrancing. The amount of detail in these petite pieces is quite astounding. In 2016, before the home was pillaged for the exhibition, Conan O'Brien sent Andy Richter off to film a tour of Bleak House guided by Guillermo Del Toro himself. The video focuses on the life sized figures (many of which are in the exhibition), but you get glimpses of the treasure trove of original art in the director's home. Those with quick eyes will spy part of one of the Gorey's shown above to the right of one of the life sized characters from Freaks.